If this is your first year of trading, remember to pay provisional tax. Read this guide on how and when. 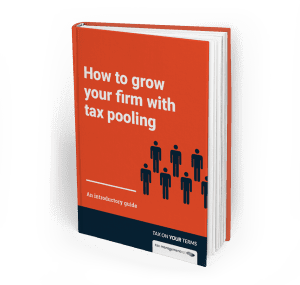 Tax pooling can help with tax audits and voluntary disclosures. Read about the types and amounts of tax available, and limitations on purchasing historical tax. At TMNZ, we strive to do our very best for customers. And to date, feedback from has been overwhelmingly positive. Read what two of our clients had to say. Watch out for Dave Robertson whose TMNZ kite is grabbing attention across the water as he practises his manoeuvres on the Waitemata this summer. TMNZ is delighted to announce that our founder Ian Kuperus has been awarded the Services Category Winner in the EY Entrepreneur of the Year Awards 2013. Does your company’s income fluctuate with the exchange rate? Read how two major Kiwi importers used Tax Finance to manage their tax payment cash flow. A $50 million pool of cheaper finance for cash-limited Canterbury firms to pay provisional tax obligations is being offered by TMNZ. Ian Kuperus’ Robin Hood-esque approach to taxation is so clever it could be criminal. Moreover, the ‘Sheriff of Nottingham’ in the equation—the IRD—totally approves of the process. As part of Tax Management NZ’s on-going commitment to the New Zealand tax community, it has committed to sponsor the Robin Oliver Tax Policy Scholarship.